Extra virgin olive oil has come into focus in recent years as an outstanding health food option due to its antioxidants and range of vitamins and minerals. However, it’s easy for people browsing for olive oil at the grocery stores to get confused by some of the labels they see. What you think is a healthy option might actually not be. There should be “use by” dates on the bottle. Olive oil generally stays fresh for up to a year or 18 months from the harvest, depending on where and how it’s stored. The further away the “use by” date is, the better. Avoid buying bottles of oil that do not have any expiration date listed. Check the type of bottle. Try to buy olive oil that’s sold in dark glass bottles or containers. The darkness of the glass prevents light from shining into the oil, which causes it to spoil faster. While prices can vary based on your region and where the olive oil came from, generally the best-quality oil is not going to be cheap. The process of growing the olives, producing the oil and shipping it across the world requires a lot of work and money, and it is seasonal in nature. 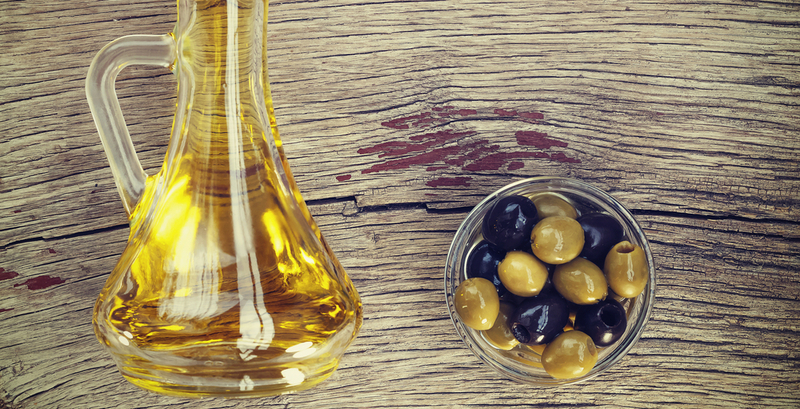 If you are specifically looking for extra virgin olive oil, make sure you are closely reading the labels! There are a variety of categories of olive oil, including “pure,” “virgin,” and “extra virgin.” Just because a label emphasizes that bottle’s natural properties and health benefits does not mean it is extra virgin. That being said, you should be aware that there is a massive percentage (80 percent) of oils on the market that have misleading labels. According to a 60 Minutes report from early 2016, these oils have been adulterated with other oils like cottonseed and canola, which are much lower in quality. Again, pay attention to the labels and make sure what you are purchasing is what you actually want. The extra virgin olive oil we sell at My Olive Tree comes directly from the olives harvested in our peace groves, and all sales go to benefit humanitarian aid projects in Israel. For more information, contact us today.